Brown, Boyer, Stewart, Bramblett, Talton. 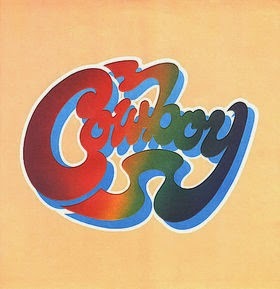 Cowboy are one of the best bands coming from now legendary Capricorn Records. Talton and Boyer have a long history in music. 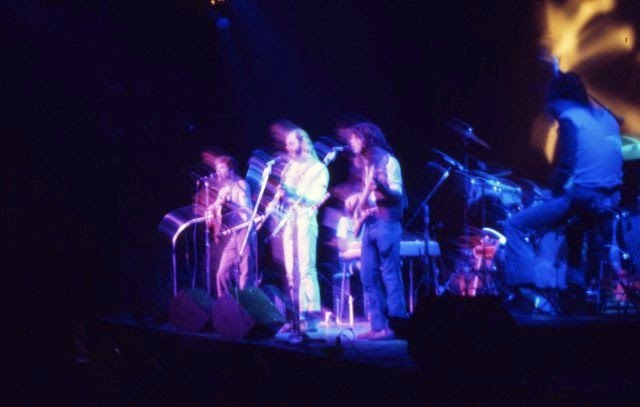 From Talton’s start in “We The People” to Boyer’s “The 31st of February”, which was a band, that at certain point featured Duane and Greg Allman. Later on Talton and Boyer got together and formed “Cowboy”. A band, that managed to release four albums. 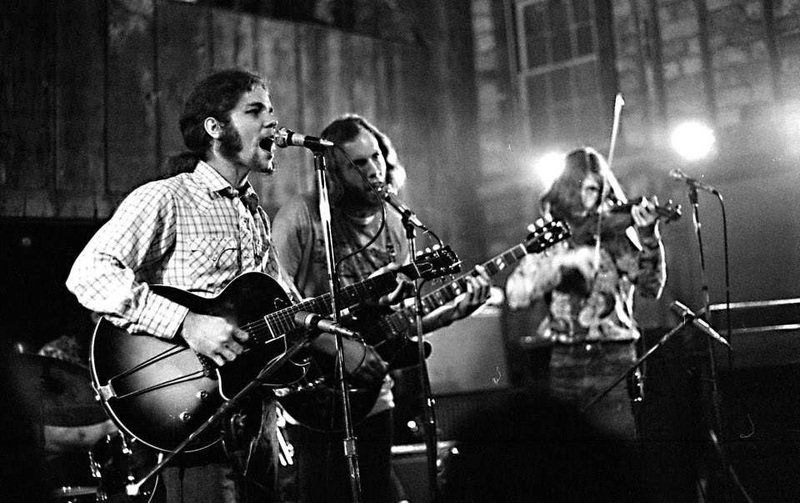 Their debut came out with a little help of Duane Allman, who was a friend. They are still both very active in music business. Tommy: Born Jan. 9, 1949 in Orlando, Fl. Scott: I was born in 1947 in Binghamton, New York. Tommy: I started playing guitar when I was late 13, early 14.
piano and started getting me lessons. wind” which I discovered later I had learned wrong. People had good success with RCA Records and can still be heard on discs that have been released from Sundazed Records. Scott: I was a member of the Englewood high school orchestra from seventh grade on. I was also in a folk singing group called “The Travelers”. How was the scene in your town? Any other bands you shared stages with? become the Allman Brothers Band. “Mud Crutch” from Gainesville, Fl. became Tom Petty and the Heartbreakers. 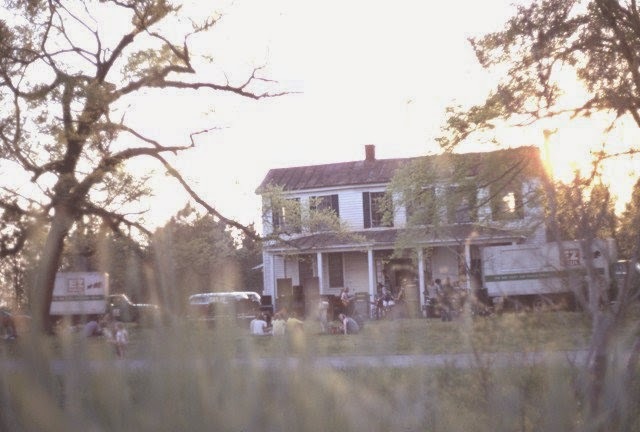 Steven Stills, Gram Parsons, and many others grew up in the area. Scott: The first band I was in was called “The Bitter Ind.” We share the stage with “The Electric Prunes”, “Spanky And Our Gang”, and others. 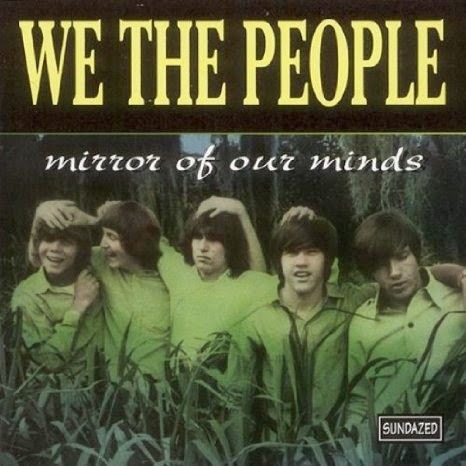 We also played at the 1968 Republican national convention in Miami, Florida. 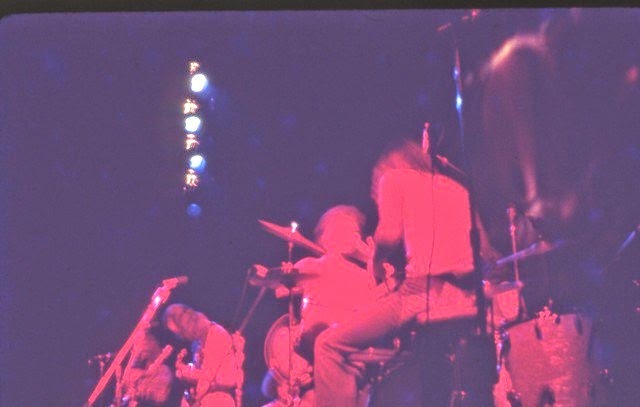 We also share the stage with a band called “The One Percent”,which later on became Lynyrd Skynyrd. but we played everything we wrote back then. Tell us more about “The 31st of February”. Scott: That album was recorded at the criteria studios. It made the top 100 on billboard. Dwayne and Greg joined the band after our first album, which is why they don’t appear on our only released record. Greg and Duane joined the band after that album was complete. We did some demos for a second album, which was later released as Greg and Duane the early years. Those demos contained, among other things, the first recorded version of Melissa. Vanguard, however, refused to give us a budget for the second album. I’m pretty sure someone lost their job over that. I’m not exactly sure how we got on the Vanguard record label, I should mention our producer was Bradley Schapiro, who went on to produce Wilson picket. someone must’ve known someone. I’m looking forward to reading the interview. Who were the members of the band and how did you guys come together? and I were playing with Bill and we decided to pool our resources. 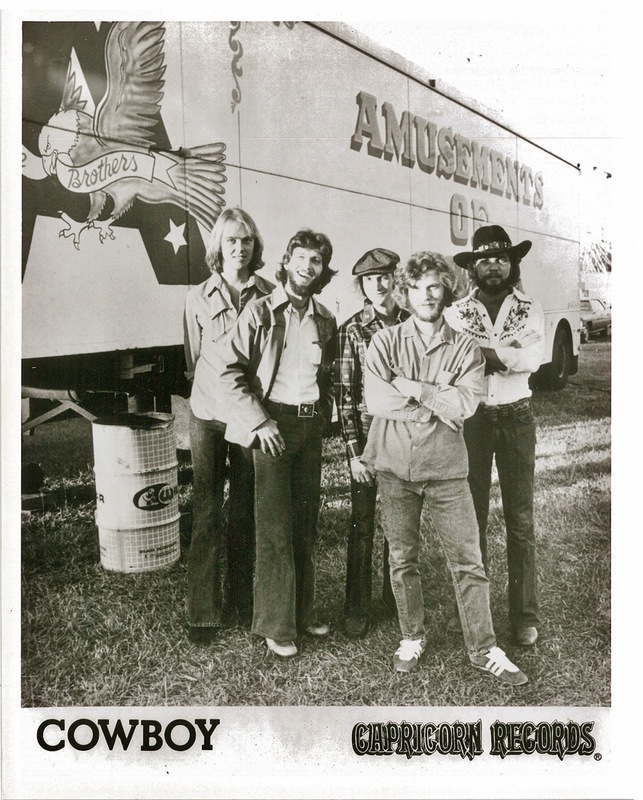 Did you play any shows as Cowboy before recording your first album? we had rented a house to rehearse and prepare for the recordings. also had a paper route. As legend has it, Duane Allman banged on your door at 7 am one day and asked to hear some songs. He then recommended you to Capricorn label owner Phil Walden, who sent Allman Brothers producer Johnny Sandlin to check you out. What’s the story behind Duane and his early arrival? 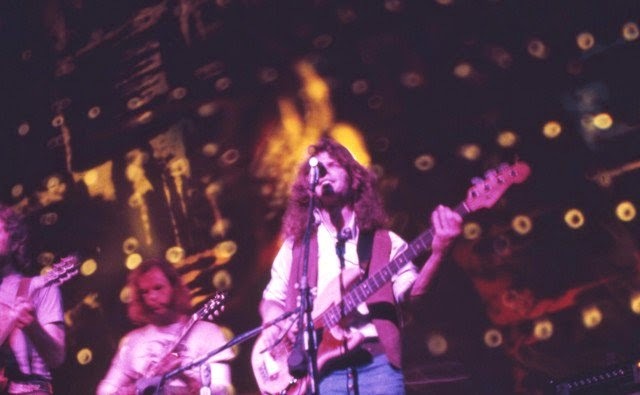 Tommy: Duane and Scott Boyer and myself had all run across each other in the earlier days of music in Florida, so, when he was passing through Jacksonville, he stopped by to say hello and see what we were up to. After playing some time with us and listening to our new tunes he went back to Macon, Ga. and told Phil Walden (president of Capricorn) about us. 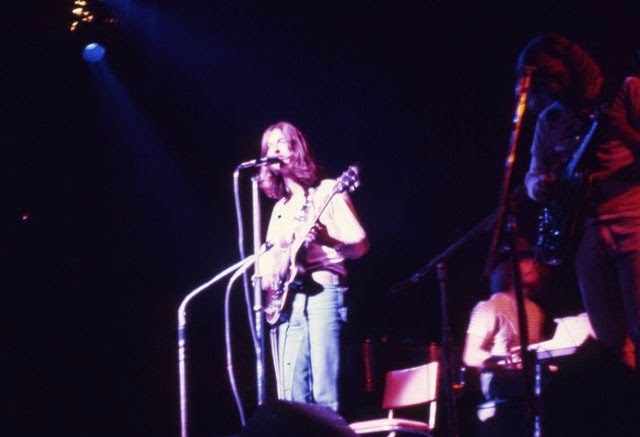 Scott: Duane and Greg Allman played for a short time with me in “The 31st of February”. We kept in touch after that, and he heard from someone I was in a band called “Cowboy”. He stopped by our house in Jacksonville on his way from Daytona Beach to Macon Georgia. We played him a few songs and he went back to Macon and talk to Phil who sent Johnny down to listen to us. Did you know Duane from before? Scott: I met Dewayne and Greg in Daytona in 1966. We were looking for a gig and having a great deal of difficulty. As we were walking out of the last place we auditioned somebody at the bar told us we played a nice set. Our bass player grab him and ask him why it was so hard to get a job playing music in Daytona. It turned out to be Greg Allman and we struck up a conversation which lasted well into the night. After that Duane called us for an audition in Jacksonville at the comic book club. 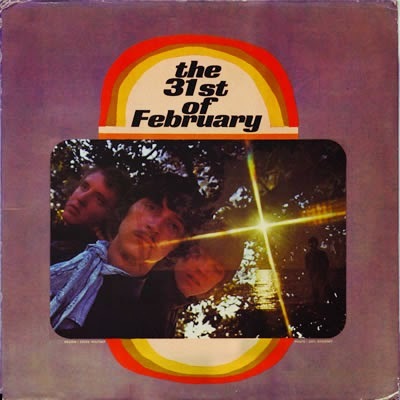 They were actually responsible for us getting our first club gig in the band “The Bitter Ind.” after we changed our name to “The 31st of February”, Duane and Greg played in that band with us for a short time. We cut some demos in Miami to try and get a record budget and were turned down by Vanguard Records. After that we broke up and Duane and Greg put together The Allman Brothers. The demos we cut included the first recorded version of the song “Melissa” and several other really good songs by Gregg. 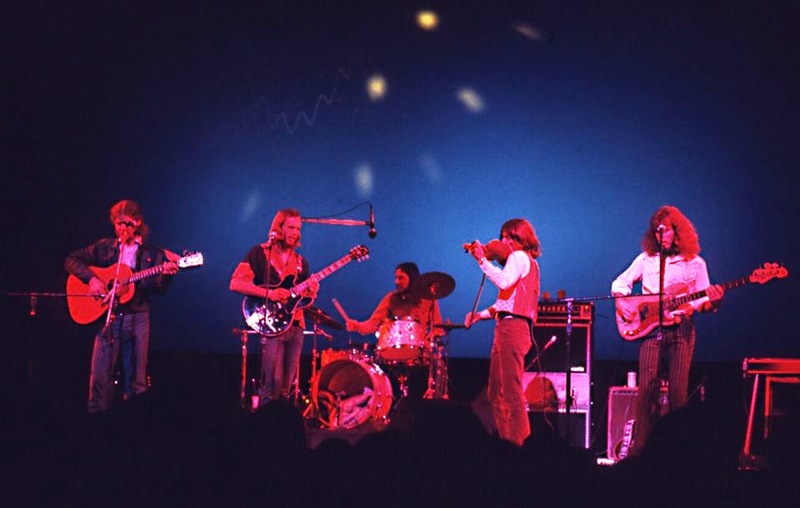 How did you like The Allman Brothers Band? Tommy: The ABB have been among the best for a long, long time and it is all well-deserved. They started a genre of music and blazed a trail for younger musicians to learn and grow from, that is monumental. I loved their music and even more, I liked their approach to music. always very nice to me and I love them. in Cochran, Ga. music for friends. 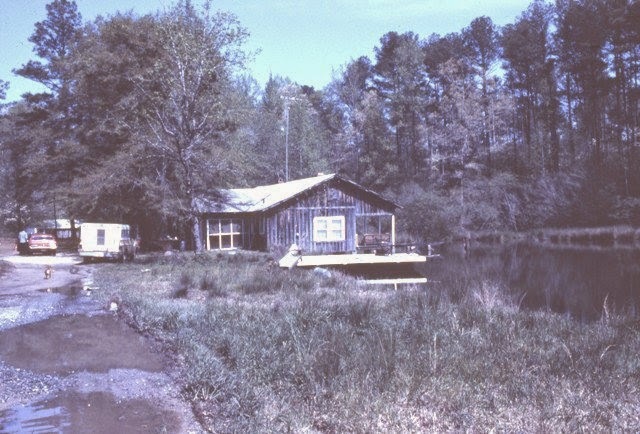 Summer of ’71. 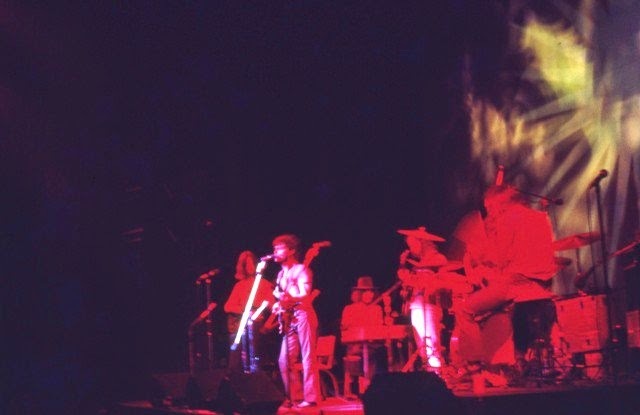 Dickie Betts, Joe Dan Petty, Kim Payne and Duane Allman. 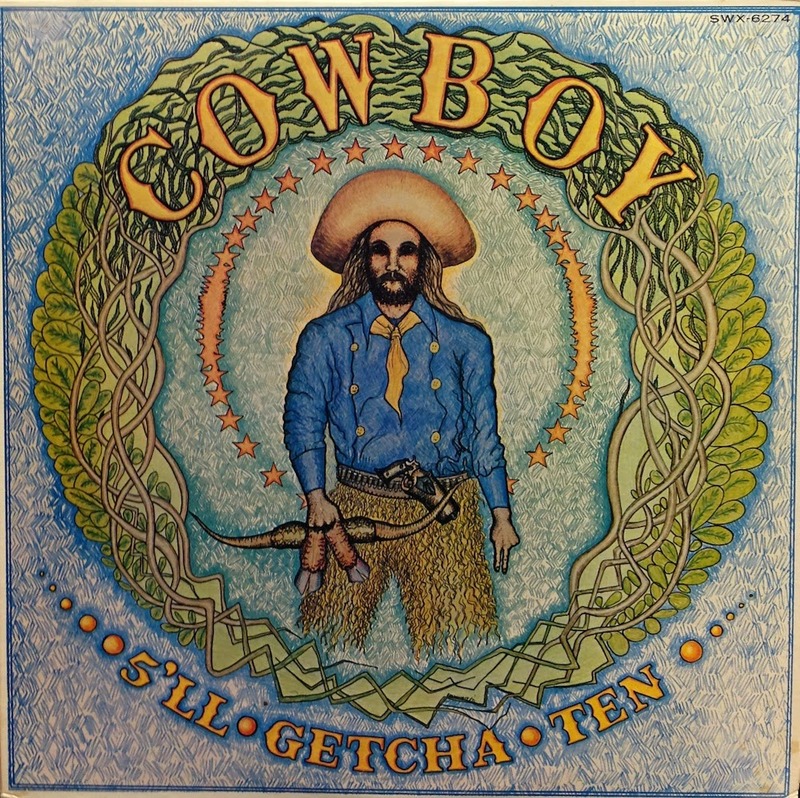 Sandlin ended up producing several Cowboy albums for Capricorn, of which this 1970 release was the first. How did you liked the contact with Capricorn Records? Tommy: Well, from the standpoint of meeting wonderful people and having countless, unusual opportunities, it was a fine time. Although, from a business and contractual view, myself and others should have looked a little closer before signing some of the agreements we got involved in. Enough said on that subject! Scott: I suppose it was like most things. We had good days and bad days. Phil, Johnny and the rest of the people at the label were and still are friends of mine so I guess everything went okay. 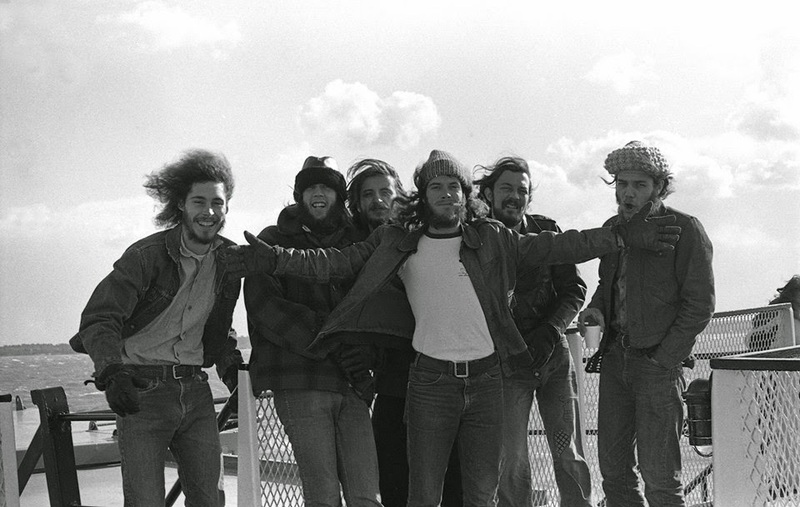 Publicity Bus shot Cowboy Indian Harbor Beach, F.
Reach for the Sky is your very first album for Capricorn Records. What are some of the strongest memories from recording and producing it? What gear did you use? It was nothing but good memories. 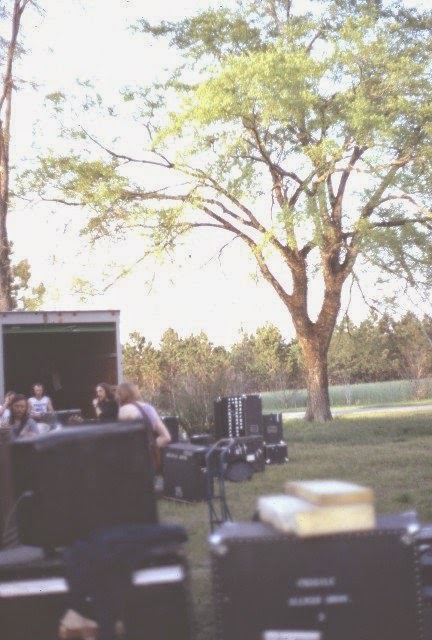 We were recording the songs we had been writing and working on for the few months we lived together in Jacksonville, Fl. It was a great release, to finally get them down on tape and let them live! Also, working with Johnny for the first time began a life-long friendship and very creative working environment. The studio was only 8 tracks at that time, so it made us approach the songs with a preciseness, that was good to learn. Making sure that what was there was important and did its job, to make the song move the listener, hopefully! Not sure what you mean by the gear, I am not the one to ask about the recording board, we did use the 8 track MCI recorders of the day. 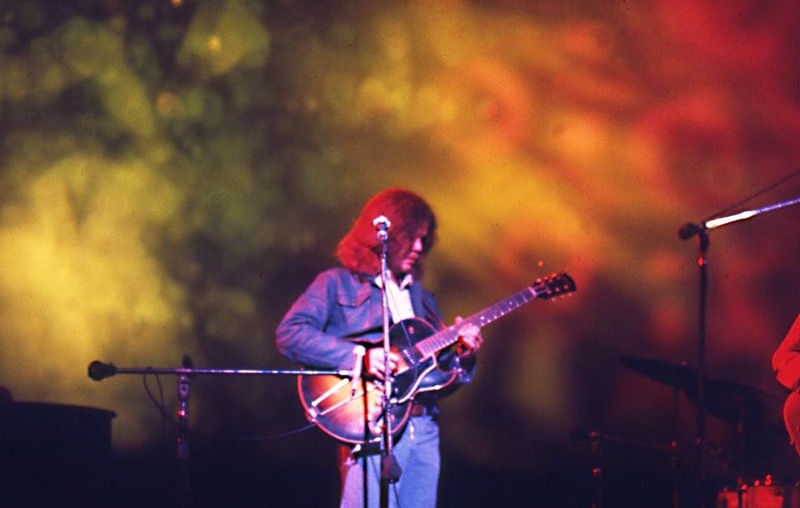 As far as instruments go, we were using Gibson and Martin acoustics. Stratocasters and Les Pauls. There was a beautiful grand piano in the studio, although, it was replaced later by an even greater one that was bought from Carnegie Hall, a nine foot grand Steinway. It would sound like an entire orchestra when it was miked a certain way. Scott: Well, we recorded one of the tracks naked. I heard after that the janitor wouldn’t come into the studio if a band was in the recording studio. I also remember a liquid called Everclear that they use to clean the recording heads. You could also drink it. It was awful, but it did the trick. 190 proof. 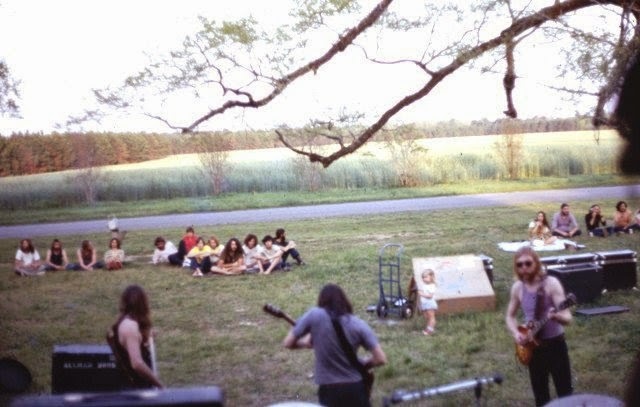 We recorded naked because the Allman Brothers had just taken some naked pictures for an album in a stream owned by Otis Redding up there. We didn’t want to be out done. How did you decide for particular cover artwork, that was used? 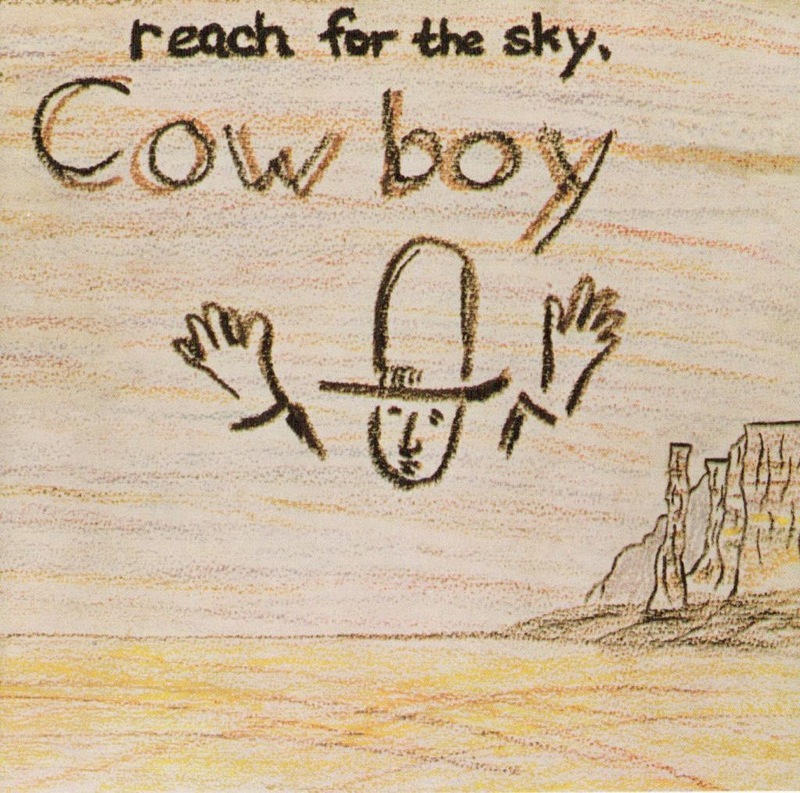 Tommy: The artwork on “Reach For The Sky” was just crayons on poster-board, drawn by a few of us in the band and Phil Walden (president of Capricorn) added a few lines himself. The innocence of the art work sort of matched the sounds of the music, we thought. The cover for the second album, “5’ll Getcha Ten,” was air brush painted by our friend Barry Brandhorst, he lived with us much of the time and helped in many ways to keep the group running. How many copies were pressed and how did the distribution looked like? Tommy: I have no idea how many were pressed. All of the recordings from every artist at that time on Capricorn records was distributed by Atlantic Records. Later, Polygram Records bought the catalog of Capricorn. Scott: I think 5000 copies were pressed, and the distribution was fairly good for such a limited pressing. How pleased were you with the finished product? Tommy: Well, happy enough. There is always a feeling that you could do more, but, it’s very important to know when to stop and move on. Be satisfied and begin the process for another work. Scott: Although I believe it is the least professional of our albums, we were thrilled to death just to have a record coming out at the time. Now it seems most people enjoy the amateurish take that we had. I mean amateurish in a good way. another member of the band. Scott: Bill and I wrote several songs together. Tommy wrote largely by himself, as did Pete. The arrangements were finalized by everyone in the band, except for Amelia’s earache which Tommy wrote right on the spot. I probably should have said made up. He didn’t write anything down. How did critics receive the album? Did it break in any markets? Tommy: Cowboy was always received well by the critics. I don’t believe the distribution or promotion by the company was ever what it could have been. Even though we were based in the south of the U.S., the northeast was a very good region for us, lots of fans in that area, California also. Scott: We had several glowing reviews, including one in Rolling Stone Magazine. The album sold well in Denver and New York, but because so few copies were pressed it didn’t really break anywhere. You shared many magic musical moments together. Would you share your insight on the albums’ tracks? Tommy: Beautiful melody that called out for the harmonies we used here. As it is titled, it was the perfect song to begin or to “open” with. Scott: I’m proud of the harmonies on this one. We grabbed a piece of wallboard from where they were building the studio and wrote the lyrics down on it so everyone could see. Then we all gathered around the microphone and sang. I thought it came out extremely well. Tommy: This was actually the first song Scott played for me when we were introduced by a mutual friend. As soon as I heard it I knew I wanted to work with Scott from then on…. but that angle seems to of serve the song well. Tommy: This was one that Bill Pillmore and Scott wrote as the band was just coming together. One of the songs that helped create Cowboy’s “sound” of easy going feelings. Scott: “Can’t we all just get along”, song. Tommy: This was a quick little “joke” I came up with. Actually, I was walking by the piano to get to the microphone on the other side of the room and I happened to “tickle” the keyboard and I sat down and played and sang purely off the top of my head. I had no idea what chord I would hit next or what words would come out of my mouth. Johnny happened to have the recorder on and we decided to use this little, impromptu “snapshot” to help reveal the fun we were having while recording. Of course, the title is just a play on Amelia Earheart. Scott: Hilarious. The song grew out of Tommy’s not wanting anything to be figured out. Sort of. spontaneous combustion. Tommy: Very good advice, yes? verses, so we sang the last two at the same time. Classically stupid. Tommy: This is a song I wrote before even meeting Scott Boyer and forming “Cowboy.” Simply what it is titled, a song about a friend, purely friendship, no love interest on a sexual level. Scott: I always wondered what the song meant. I have a few guesses but nothing concrete. Tommy: “Everything Here” was not written until the night before it was recorded. Johnny Sandlin, producer on the record, asked me to come up with another song for the album because we had some time that needed to be filled on the disc. Something that would not occur here in the “digital” age of recording. You see, when dealing with a vinyl disc there is only so much time you can put on one side before you begin to lose quality (about 22 minutes back then, probably still true). After that, the “groove has to grow smaller to fit more music on the disc, meaning the needle has less space to fit into for optimum quality! And there’s our lesson on vinyl discs for today, there will be a quiz in the future, thank you! thought the band performed well on this song. Tommy: Don’t want to repeat myself too much, but all these songs, hopefully, will speak for themselves lyrically. More good advice from Mr. Boyer! Scott: Use where you’re at to get where you want to go. Tommy: Beautiful song, one of my favorites of all Cowboy tunes. Scott and I recorded this song again a few years later with the wonderful Bonnie Bramblett, from Delaney and Bonnie. like Neil Young. Bonnie Bramlett later recorded a killer version of this song. Tommy: Kick your heels up and dance! Scott: A memorable little guitar lick. Bringing the band in for the last four bars was probably more trouble than it was worth. Tommy: This one is getting some anger out, better than letting it eat at you…..
hateful, but I was a little pissed when I wrote it. person named Mejer Baba. I don’t know if that’s the correct spelling. Tommy: This is a very special song in my life. It came to me in a dream, I awoke and wrote all the lyrics out without thinking. It was not until 3 or 4 months later that I put the chords and melody to the words. Josephine can be left to the listener to decide who she is! Your next release was 5’ll Getcha Ten. Which came out a year later. What’s the story behind this album? played an electric rhythm part. about my first experience in the Shoals. Another time perhaps. 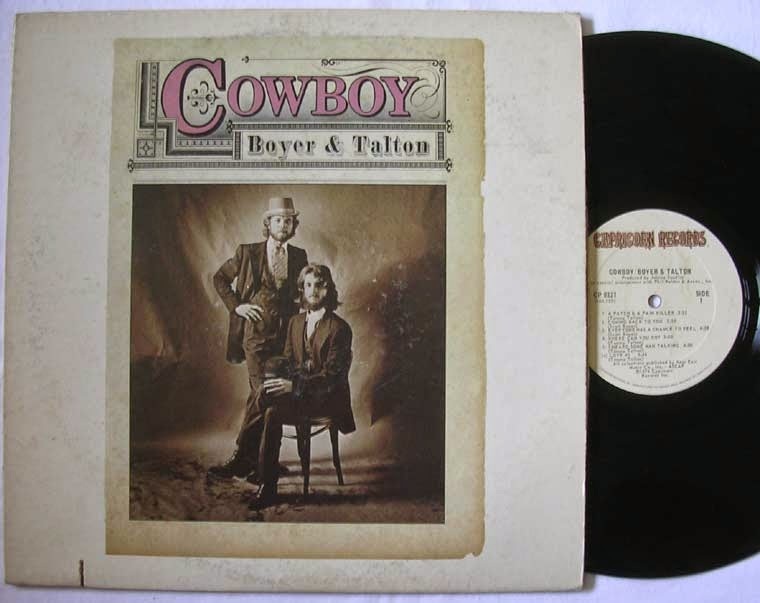 Two more albums came out; Boyer & Talton and final in 1977, Cowboy. Would you like to comment the situation around this two releases? near the end for the original Capricorn Record Company. had learned enough about production from Johnny to do a passable job. 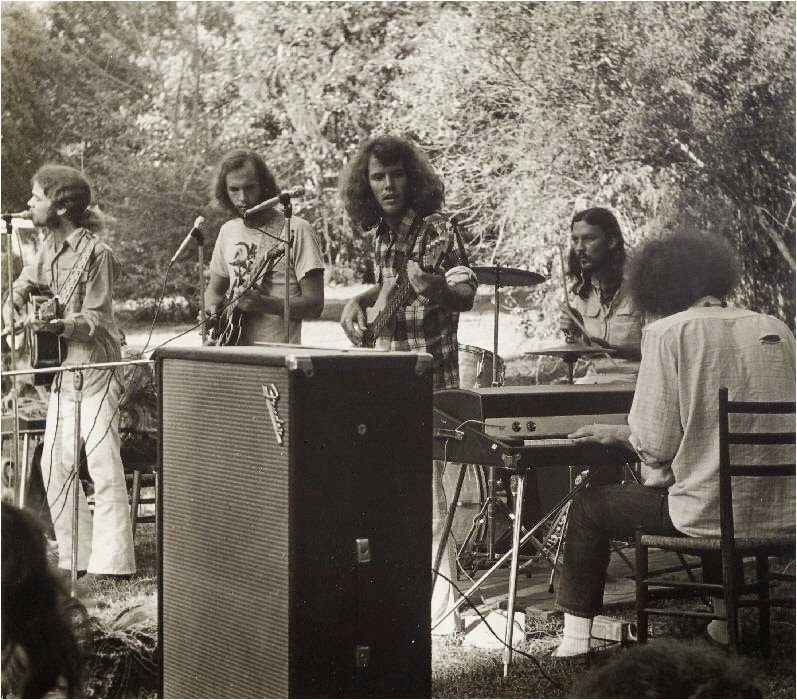 Were you often playing together with The Allman Brothers Band and other from Capricorn Records? Mountain Daredevils and other folk rock acts. Band. Are there any recordings? Tommy: No recordings of our gigs at the Fillmore. 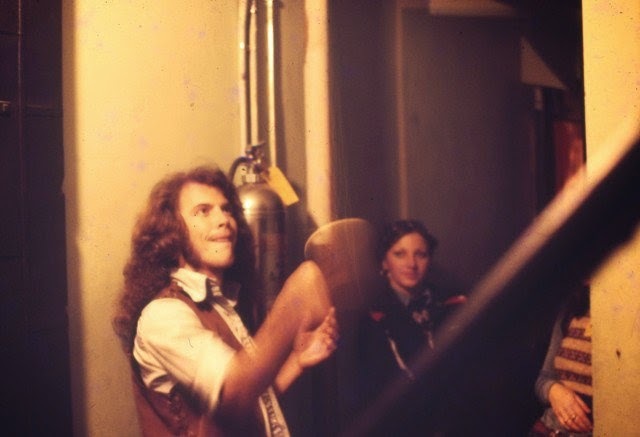 George Clark backstage Fillmore East ’71. Would you discuss some of your most memorable moments in Cowboy and what made them so? would take too long to tell. Stewart (drummer on many Capricorn and other recordings). Scott: I spent a year in Los Angeles, writing songs with Ricky Hirsch from “Wet Willie” and producing an album on a Seattle band called “The Sky Boys”. After that I joined a band called “Locust Fork” for a few years, then started a band called “The Convertibles” which Tommy was in for a short while. What does occupy your life these days? Tommy: After living for most of the ’90’s in Europe, I have been making music again in the U.S.
“Until After Then” is my latest release (October 28, 2014), it is just now beginning to roll and have some recognition, hope you find time to listen to it and the others. “Let’s Get Outta Here” is an album from 2012 and is still selling quite well. Here is a link from a performance by the Tommy Talton Band in 2013 in Daytona Beach, Fl. 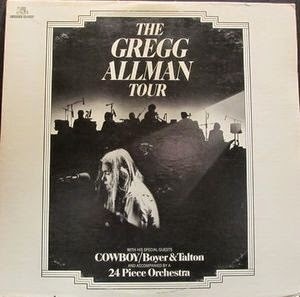 This song was also on the “Live/ Laid Back Tour ’74” album by Cowboy on the Gregg Allman tour of that year. longer plays with us, our bass player is now David Hood. 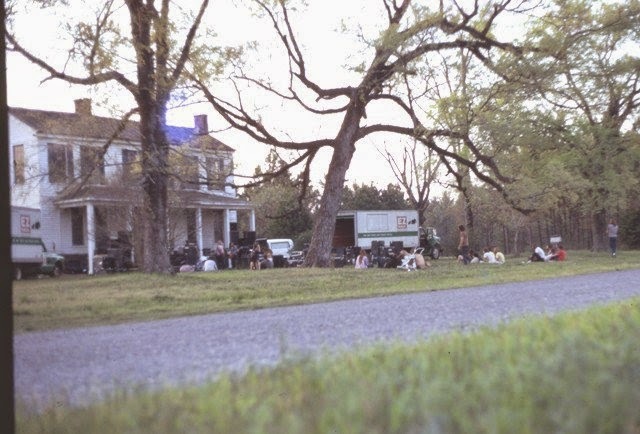 called “The Muscle Shoals House Band”. We would like to thank you for taking your time. Would you like to share anything else with our readers? have helped to enlighten everyone a bit on the history of our music. can help us all make it through the tough times! Scott: Only that I believe I’m getting better over time, and I hope my best work is still ahead of me. 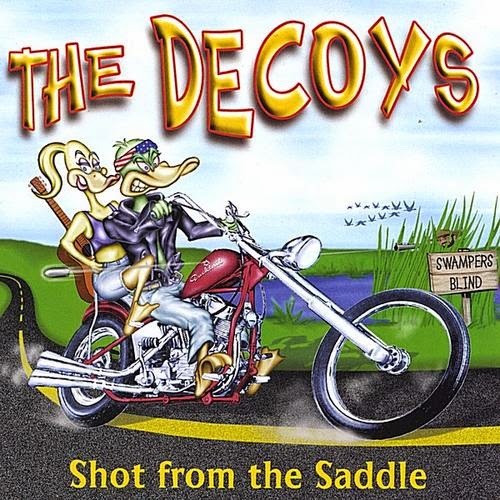 I would also like to thank all of your readers for taking the time to read this, and I hope you will listen to “The Decoys” when you get a chance. Oh, and come out and see me if I play somewhere close to where you are. Thank all of you. These boys always did knock my COWBOY boots right off my feets! Onward through the fog, Mr. Boyer and Mr. Talton! 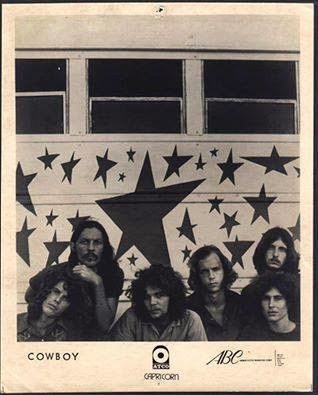 cowboy is bar none my favoritest band ever! timeless songs,,,sweet melodies,,beautiful lyrics,,cowboys music fits all generations,,tommy talton is 1'a the sweetest most humblest people i ever met,,i love him & miss patty very muchly! Yeah I completely agree that "Cowboy" is one of the best music bands. It is my and my dad’s favorite band. We have attended their various concerts at the local event rooms for rent. In their concerts I always have a great time with my loving dad!